Thank you to all that helped make our Grant Schoen Beginners Tournament a success. This was our largest turn out to date. 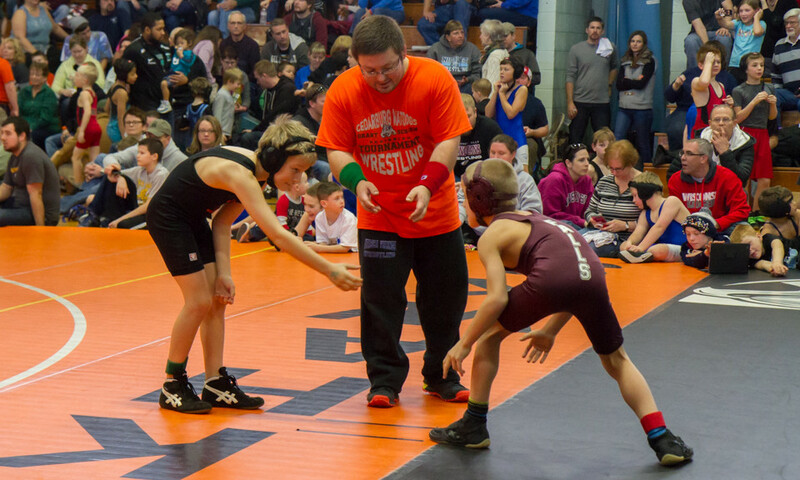 240 beginner wrestlers had a chance to experience a tournament in a learning environment, without a lot of the pressure that comes with a regular youth tournament. We were able to honor the memory of Grant Schoen, raise awareness and donate part of the proceeds to HeartSafe Wisconsin. A special thanks goes out to the Grafton High School wrestling coach, Mike Dodge and his team and the rest of the Grafton program for not only hosting us, but also helping work the event. Thank you CHS Coach Frias and his team for all your help. Laura Kubichka did an awesome job taking a lead on concessions. Thanks also goes out to Coach Gartman, Susan Ipsarides, Jeff Corner, Max Askren, Sean Grudzinski, Tammy and Jeff Schoen, all the Matdog coaches and families (both past and present) and all the other volunteers that made this event successful. Of course thanks goes out to all the wrestlers and their families for coming out and supporting the sport of wrestling!